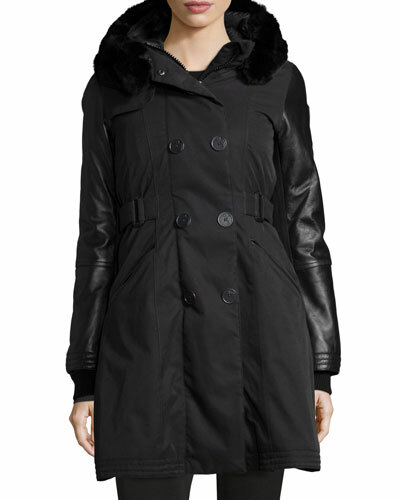 Nobis is a collection of outerwear based in Toronto, Ontario that was founded by Robin Yates in 2007. The brand has a worldwide presence and vast following due to its utility enhanced by luxury features and materials; an artful melding of form and function. Classic, fitted designs are brought to life with innovative materials that protect from the elements and wear beautifully. Nobis uses only ethically sourced and processed down and fur for its designs, ensuring both quality and cruelty-free apparel. 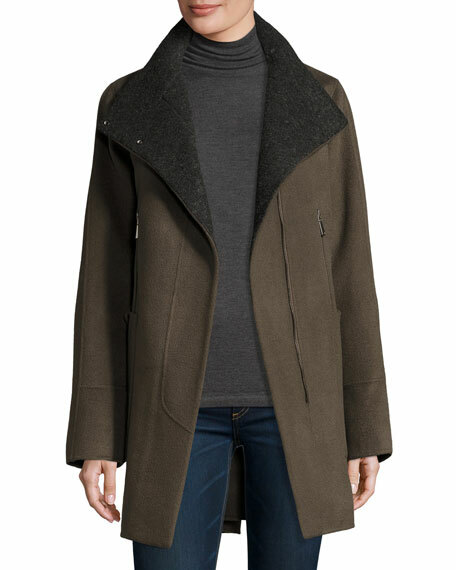 Additionally, all outerwear from Nobis is made to be laundered at home for ease and eco-consciousness. 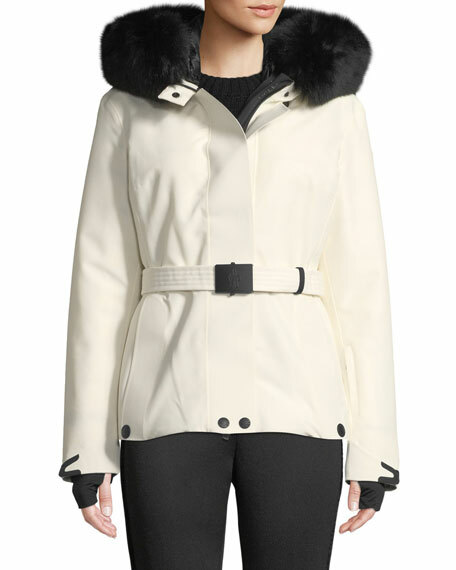 Shop a selection of coats and jackets by Nobis at Bergdorf Goodman. 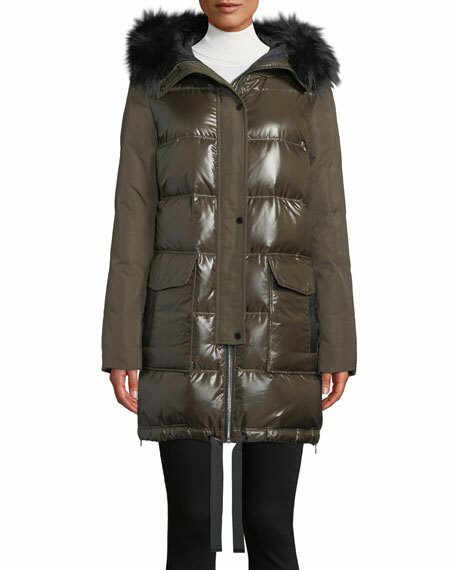 Moncler "Fulmar" puffer coat with removable dyed blue forest fox (Finland) fur trim at hood. Long sleeves; logo patch at left arm. Two-way zip-up front. Side zip pockets. A-line silhouette. Mid-thigh length. 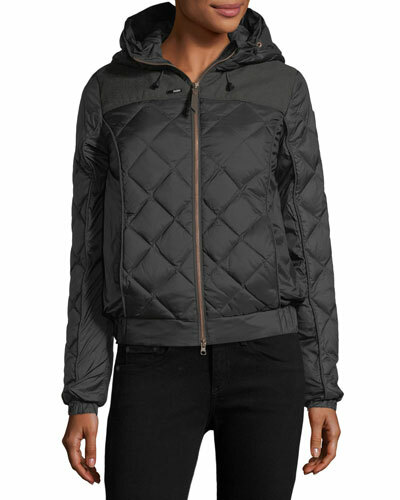 Nylon outer/lining/hood lining. 90/10 down/feather fill. Imported.